Our weekday lunches are all about comfort foods. Typically, I make two or three vegetable dishes everyday. Steaming the vegetables, tempering them with spices is one of my most favourite ways to cook them. Minimum oil and adding a little bit of crunch makes the beans taste so heavenly. 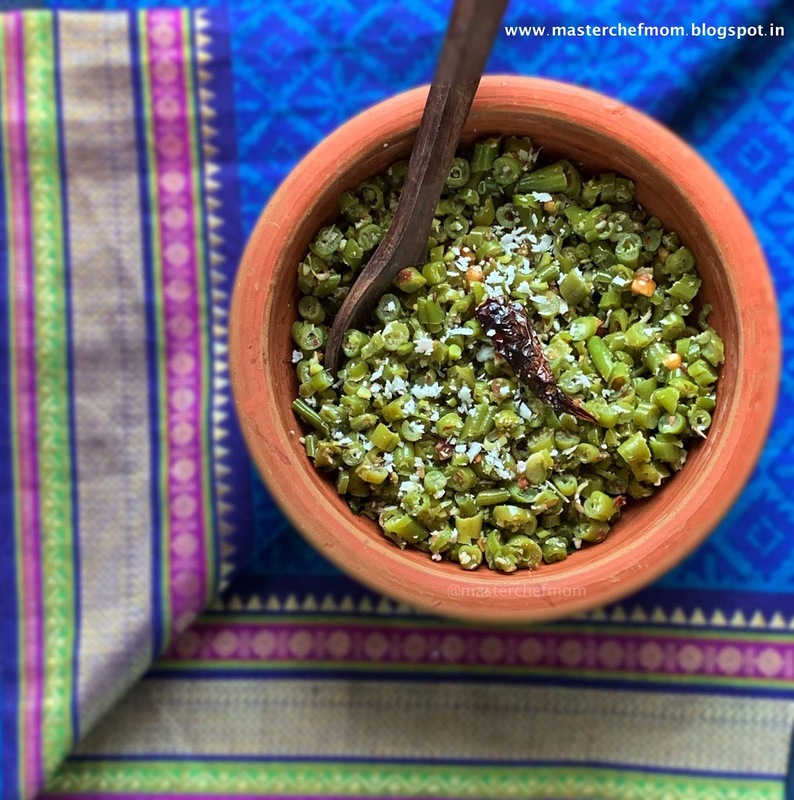 A big bowl of this Garlic Beans Poriyal can be enjoyed as a salad or can be served along with rice . 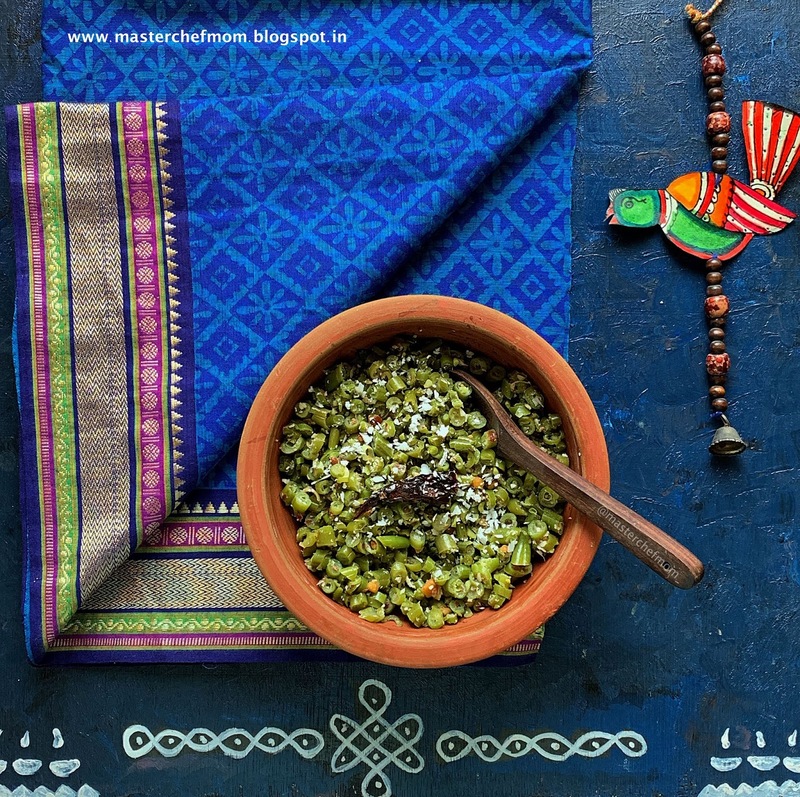 My mother and Mother-In-Law , do not use garlic while making this beans kari/poriyal. As we all love the taste of fried garlic , I use them regularly. It adds a lot of flavour to this dish. Also, I have not added any spice powders and chose to use whole red chillies . The combination of finely chopped garlic and whole red chilli is amazing . The spices are just right and are not over powdering. Whole roasted peanuts are in season here in Delhi and I have been snacking on them all day 😁. 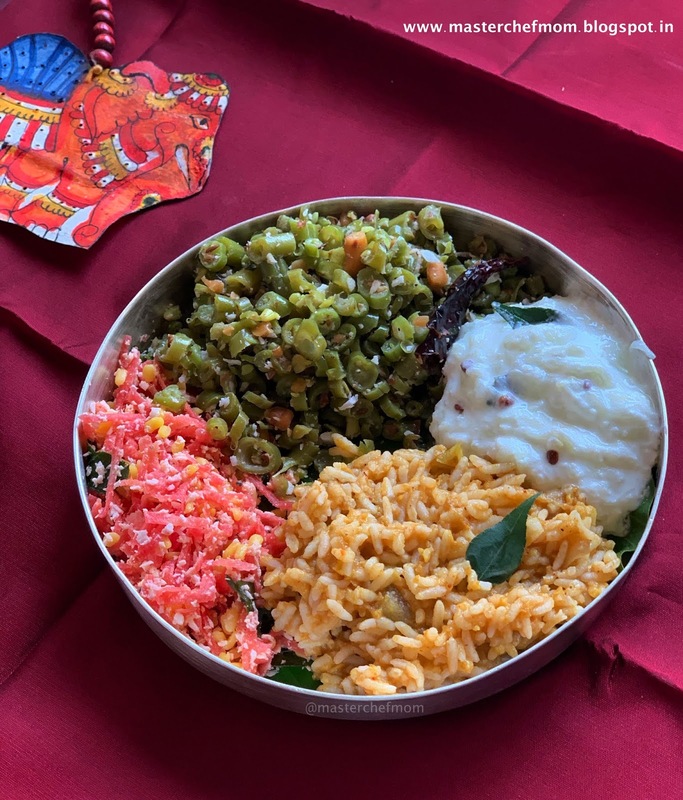 So, it was easy for me to add a handful of coarsely crushed roasted groundnuts to the beans and that made the poriyal even more tasty and wholesome. During your free time, you can dry roast peanuts and coarsely grind them . Store them in an air tight container . Add a teaspoon of this roasted peanut mix in sabzi/poriyal/kari . Easy way to add protein to your family diet . Without delay, let me now share this tasty recipe with all of you. 1. Steam the beans till they are cooked. 2. Heat a clay pot or iron kadai/wok or a heavy bottom pan with oil and temper with ingredients given for the same. 3. Now add the finely chopped/crushed garlic and fry till they are slightly brown . 4. Add the steamed beans , salt and mix well. 5. Let the mixture cook for another 5 minutes over medium flame. 6. Add the curry leaves, grated coconut , coarsely ground peanuts and mix again. Your delicious Poondu Beans Kari is now ready !